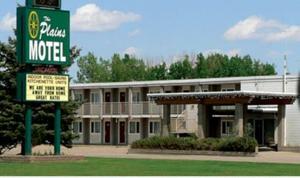 Inntimate Inns is a boutique Hospitality Management Company based in Western Canada. Established in 1999, we are a privately-held family-operated business that focuses exclusively on the Hospitality sector. We are specialists and leaders in improving revenues and profits for lodging, camping and residential businesses. We excel at turning under-performing small to medium-sized hotels, motels, RV parks, apartments and condos into thriving properties. We have worked with multiple receivers, mortgage holders, and banks on businesses that have entered court appointed receiverships. We also assist owners with improving their ROI on properties through management contracts and analysis. Our ability to quickly deploy a team to assist receivers with takeovers, and our years of experience in the industry, provide stability and confidence in our clients. Our services include management, accounting, property analysis, franchise liaison, capital improvement and analysis, budgeting and strategic planning. We have operated both independent and franchise properties and have contacts within most major franchises. We pride ourselves on our ability to quickly deploy to a new property, analyze the businesses strengths/weaknesses, and take over (or advise) its operations. We can provide Interim Management and/or HR search for permanent management. "Thank you, Gordon! Your team at Inntimate Inns was amazing. From helping us lay out a transition strategy, then implementing new business systems and recruiting new management to get us back on our feet, you have really turned our business around. Our staff are much happier, our new managers are exceptional, our finances are healthy and the future looks great. Thank you!"